A couple of surprise results have ensured an intriguing finish to the season in the Yarra Valley Cricket Association DJ Strachan Shield. Seville’s dogged win against the highly-fancied Mount Evelyn would be the biggest upset of the season, but Healesville’s dominance of Wandin was the biggest result of the season considering the race for finals. Seville had set up a path to victory last week, when young star Liam Kay cut a swathe through the Mounters’ batting line up with fantastic figures of 7/44 leaving them with a tricky, but much favourable chase of 114. The loss of three wickets late on day one was a stumbling block. Stung by a poor day’s cricket, the Mounters struck early enough with wickets to Chad Witherdin (3/7) to give themselves what seemed at the time the upper hand. Sensing no need to rush, the Blues stuck to their guns and continued patiently against some tidy bowling. Andy Kay would enter the fray at the fall of the fifth wicket with the score on 45, and the home side was looking for some experienced guidance. Tom Page had tempered his normal aggressive approach, and provided an important anchor to the innings. Brad Jones kept the visitors right in the mix when he removed Page within distance of the lunch interval with the score still crawling at 6/58. Riley Foster joined Kay at the wicket as the veteran had found his groove, patiently swooping on the rare loose deliveries. The youngster stood firm despite some wobbly moments and the pair began to piece together the match-winning partnership against a tiring Mount Evelyn attack. Scoring opportunities started to arrive more freely, and in the end the post-lunch period was quite fruitful as they raced to an unbeaten 63-run partnership that would lead their team to a momentous six-wicket victory – their finest victory since their premiership days of nearly a decade ago. Healesville has wallowed and struggled to gain much momentum since the break, until now. Hosting Wandin who had nestled comfortably in second on the table, it really was just about last chance saloon for the Bloods. Day one saw a tight battle between bat and ball, with Wandin posting a handy total of 161 courtesy of Rhett Smith’s late order hitting pushing the score out. By no means was the total great, but considering Healesville’s batting woes this season it looked to be a challenging one. Someone forgot to tell the Bloods’ top order bats as they went about chasing the total with such conviction. From the word go, openers Breton Damrow and Max Minney looked in complete control. Ethan Alderman was introduced into the attack to stem the run flow, which he managed well, but the runs continued to leak at the other end. On the stroke of tea, Minney fell for a brilliant innings of 60, and with an opening partnership of 110 the Bloods looked well on track for victory. Damrow’s innings ended just after posting a much-deserved half-century, as he succumbed to the stifling heat and retired hurt. This opened the door somewhat for the Bulldogs, but it was abruptly shut as Dale Senior (31 not out) and Jayden Lawry (24 not out) ensured their teammates’ efforts would not be in vain. They put together a useful partnership to get the team to the target unhindered. 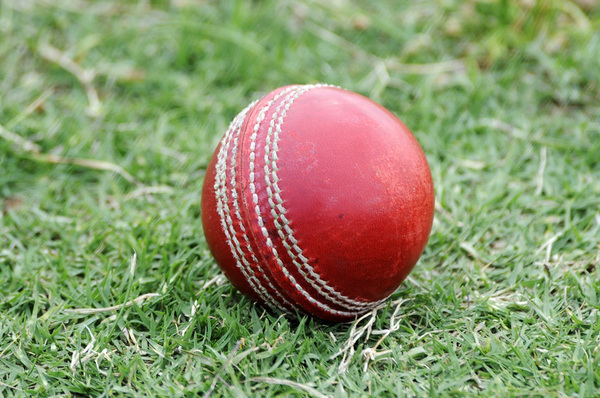 In the final game of the round, Yarra Junction moved on from a disappointing showing last round to beat Warburton-Millgrove with a dogged performance with both bat and ball. The Eagles posted a competitive 9/195 last week on a slow Zara Junction oval against some tidy bowling from the Burras. The Burras couldn’t put together the necessary partnerships to really challenge the Eagles’ total. Terry Ottrey, an unassuming character, constantly challenges a batsman’s patience and skill with disciplined bowling to well-set fields. He was the major thorn in the Burras’ side as his four wickets and scrupulous economy left the visitors with few answers. His captain Kevin Bomford was just as effective with his variation of slower balls, as he collected three wickets of his own. Liam Barnard challenged early while Adam Humphrey added respectability to the scoreboard late, but this was Junction’s game from the moment the first wicket fell on day two. The visitors were bowled out for 126. With three rounds remaining, the race for the top four is alive and well. Mount Evelyn sits comfortably on top. Wandin still sits in the box seat, but could miss out all together if they flop their lines over the remaining rounds. Seville and Yarra Junction round out the top four, one game ahead of Healesville and Warburton-Millgrove. Next round, a win to Seville will all but assure the side a return to finals action, while a win to Healesville would close the gap and reignite their season. Mount Evelyn will play Yarra Junction. A loss to the Mounters would provide a significant boost to the rest of the competition and almost hand Yarra Junction a finals berth. Wandin will host Warburton-Millgrove with both teams desperate for a win. Wandin needs to keep winning to ensure a home final and prove to be a genuine contender. The Burras need to find some spark or their season will be done and dusted before the finish line.